LAST WINTER, WE INTRODUCED YOU TO A HANDFUL OF DEDICATED BOULEVARDIANS WHO WORK BEHIND THE SCENES TO ENSURE THAT YOUR BOULEVARD EXPERIENCE IS TOP NOTCH. AROUND THE HOLIDAYS, WE LOVINGLY REFER TO THEM AS BEER ELVES, AND YOU'LL FIND THEIR NAMES ON THE NECK LABELS OF NUTCRACKER ALE, OUR WINTER WARMER. THIS YEAR, WE'RE DOING IT AGAIN! COME BACK WEEKLY TO LEARN A LITTLE BIT ABOUT THE FOLKS WHO KEEP US RUNNING LIKE A WELL-OILED (WELL-FERMENTED?) MACHINE. Making beer isn’t as simple as brewing whatever beer you want, throwing it into whatever package you want, and sending it out into the world. A bevy of legal hurdles and government review processes exist for what’s in AND on a beer, and navigating this complicated space requires someone with a sharp mind and the ability to fearlessly speak up when there’s potential risk. Enter Lindsey Walser. Serving as our Paralegal/Compliance Manager, Lindsey describes her job succinctly: “I make sure everyone is following the rules.” Being in such a role is a tricky tightrope to walk, and Lindsey recognizes that pressure. “I typically feel like I’m straddling a very fine line between acting as the brewery’s annoying hall monitor/cop/mom while still trying to be a likable human being.” Fortunately for us, Lindsey is extraordinarily likable, and even when she has to say no (which she estimates is at least twice per day), she does so kindly and with a determination to find a solution or alternative. Boulevard isn’t Lindsey’s first rodeo in the strange world of beer law. Prior to joining the brewery 4 years ago, she worked at a tax law firm that began dabbling in alcohol beverage law, including counseling clients through federal and state licensing processes, formula approvals, label approvals, etc. When a position at the brewery opened up, she realized it was basically what she was already doing, with the added bonus of working in an actual brewery and having access to all the beer. JACKPOT. We’re incredibly lucky to have Lindsey around to keep us honest, keep us compliant, and do it all gracefully and cordially. 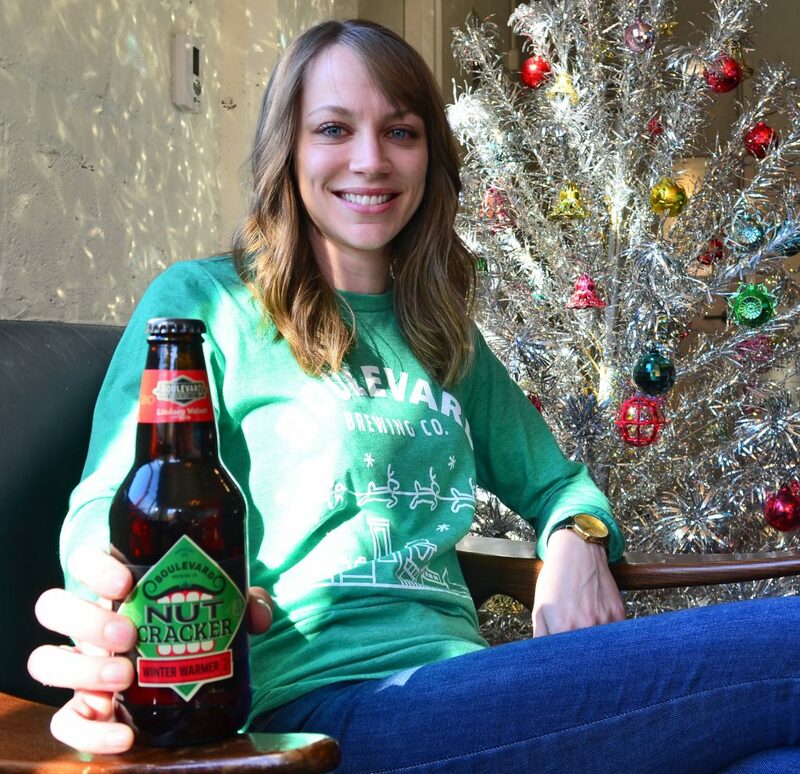 If you snag a bottle of Nutcracker Ale with her name on it, show a little love for all the hard work she puts in (including closely reviewing that bottle’s label!). 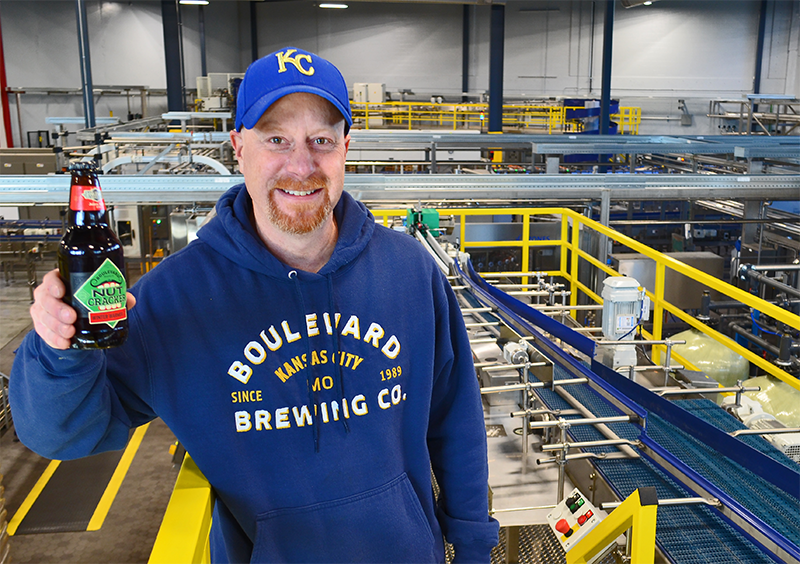 You may not know you're familiar with Frank Norton's work, but if you've purchased packaged Boulevard beer (or even glanced in its general direction) in recent years, you are definitely familiar. From the symbolic radial pattern of the Radler series to the icon-laden Bou Lou artwork (and everything in between), Frank's knack for design has made him a uniquely talented and important contributor to Boulevard over the past four years. Before he found his way to the brewery, he made the long, arduous journey from Springfield, MO to Kansas City, working for a handful of small graphic design shops as well as teaching at Kansas City Art Institute. Originally joining Boulevard as a contract designer, Frank assisted in the Herculean task of updating our ENTIRE brand identity and packaging lineup. With a combination of refreshing pre-existing beers, and creating artwork for brand new beers, Frank quickly displayed his ability to communicate a beer's story through design. As he puts it, "Our brewers do such a kickass job, it’s up to our team to communicate that on the shelf. If it works well, it creates some expectation of what you’ll be tasting and helps commit the beer to memory." Clearly it worked well, because after a few months, Frank was brought on as a full-time employee. Developing an identity for a beer is not always a simple endeavor. Even the simple act of NAMING a beer can be touch-and-go. The sheer number of breweries and beers in existence can make it seemingly impossible to find a name that hasn't been snatched up yet. But fortunately, Frank finds a certain gratification in the challenge and working as a team to eventually land on the perfect (and unused) beer name. Visual design is no different, but he finds inspiration in all kinds of people and places. Artists like Luba Lukova, Shigeo Fukuda, and Abram Games stoke his interest in visual metaphor, while travel presents inspiration in smaller ways. Everyday items that many of us would ignore, like matchbooks, candy packaging, and menu design, helps Frank break out of his rut and branch out into new territory. Frank's favorite Boulevard design projects so far? "Bou Lou was a blast because it felt like total uncharted territory. I really wanted to deliver something unconventional that would have people stopping you at a venue asking 'What is that and where can I get it?' We also recently collaborated with Christopher Elbow on some chocolate bars inspired by our beers that I did the packaging for. We’re constantly working on innovation, and new challenges are always fun to jump into, especially when it means teaming up with passionate people making cool stuff." Coincidentally, Frank is one of our own passionate people making cool stuff, and we are so proud to call him a Boulevardian. If you see his name on your Nutcracker bottle, give him a little toast. And even if you don't have his name on there, he totally helped redesign that label, so give him a toast anyway! How did Boulevard ever function without Anne Strube? In her 2.5 years with the brewery, Anne’s 10+ years of project management experience have introduced an impressive new level of efficiency and organization to our supply chain operations. To some of you this may sound like a bunch of corporate nonsense, so here it is in simpler terms: Anne keeps our sh*t together. Essentially serving as the behind-the-scenes hub for all the moving parts of our production process, Anne works with just about EVERY department on a daily basis to ensure that we are meeting the necessary timelines to have our beer on shelves and taps as planned. There’s no shortage of activities and deadlines that she has to monitor, and she manages what might be one of the most intimidating spreadsheets in the world of beer. Tracking everything from government submissions and approvals to packaging design, to the brewing of the beer itself, Anne is truly the heart of the brewery. She pumps out updates and reminders to various departments, while information subsequently flows back to her and she makes adjustments to our milestones and calendar as needed. Working as far as a year in advance and balancing dozens upon dozens of beers, it can be a lot to deal with, and she strives to find that communication balance to ensure everyone on our team knows what’s going on across departments without feeling overwhelmed. But Anne finds the juggling act rewarding, as she’s able to see our beers in a cooler or on a menu and know the intense amount of work and talented people that helped make it happen. We’d be a bit lost without Anne, and during a season of giving, we give her ALL of our thanks and appreciation for being such a crucial part of the team. Raise a Nutcracker up for Anne! Mandy Waters has been here since the very beginning. Well, the very beginning of the Tours & Rec Center, anyway. 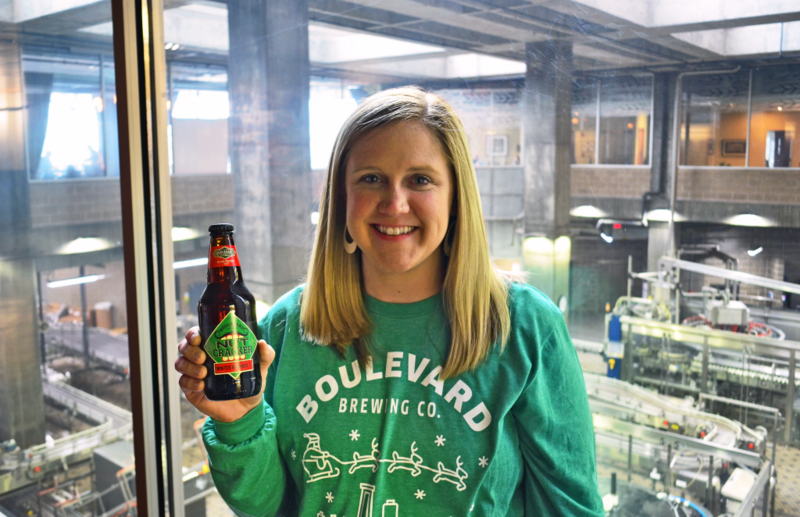 Before joining the official Boulevard family in 2016 to manage the Beer Hall, the Manhattan, Kansas native maintained a more casual relationship (read: drinking a lot of it) with Boulevard beer since she moved to Kansas City in 2000. Her past life working in the restaurant industry (nearly 15 years at local Italian staple Lidia’s) helped hone her customer service skills, which she puts to good use each day in our Beer Hall ensuring that visitors are provided with a top-notch experience. Fortunately for her, she has a team of 40+ talented and knowledgeable Boulevardians to lend a hand along the way. And she certainly couldn’t do it all by herself; with 30+ rotating beers on tap, 20+ monthly events, and upwards of 5,000 people coming through the Beer Hall on a busy week, it truly takes a village of beer-slingers. 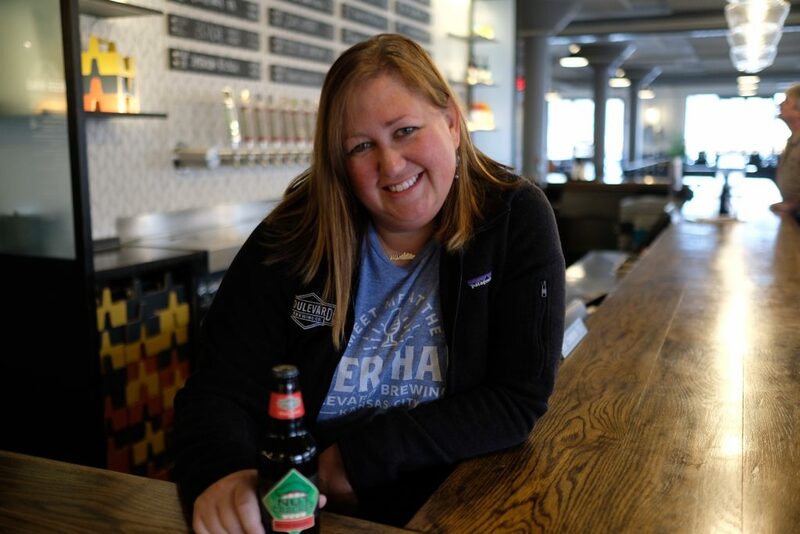 Though you’ll regularly see Mandy wandering the Beer Hall to make sure everything is running (and pouring) smoothly, she can also be found away from the brewery taking in Royals games, enjoying tacos and wine, and hanging out with her crazy smart sons and super hot husband*. If you come across Mandy’s name on your Nutcracker bottle, raise a toast, and if you come across Mandy herself in the Beer Hall, consider saying hello and offering up a thank you for her impeccable work! 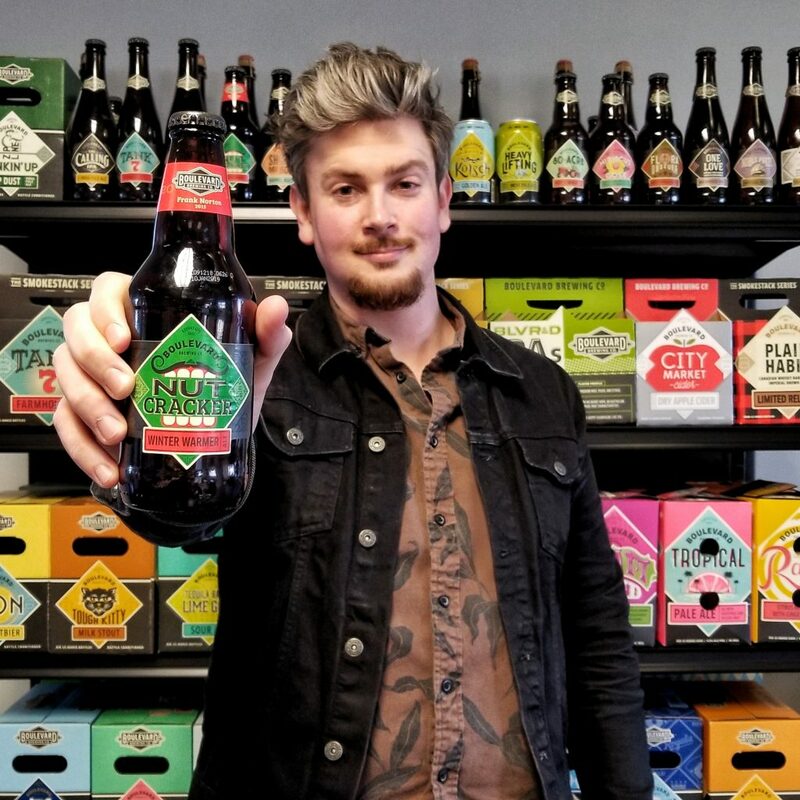 Jason Hart may be a relative newcomer to Boulevard - just over 2 1/2 years under his belt - but his expertise in beer is marked by a career that stretches much further back. Prior tenures at MillerCoors and Stroh's give him a whopping total of nearly 30 years in the beer industry, and his exceptional work at Boulevard reflects that experience. As our Packaging Manager, Jason has oversight of our entire packaging operation at the brewery; including the 12oz bottling line, keg line, AND the new high-speed canning line we introduced earlier this year. Balancing the workload of these packaging processes is no simple task; on an extraordinarily busy week when all three lines are running, Jason could need to manage as many as 60,000 cases of packaged beer and 2,750 kegs going out the door. This level of production requires Jason to coordinate a staff that is flexible and multi-skilled, who can easily jump in or rotate to help as needed. Sheer volume isn't the only challenge in the world of beer packaging. A wide variety of packaging types, alternate label and carrier designs (think standard KC Pils vs. KC Pils with a Royals logo), and a constantly evolving production and shipping schedule make it a job that can be unpredictable and always requires a high level of attention to detail. Don't worry, Jason and team are on it. When he's not at the brewery playing an integral role in bringing beer to the masses, he's still keeping busy with a variety of activities: everything from cooking, gaming and reading, to nurturing an interest in ancient history and hitting up metal shows. As you make your way through this holiday season and drink your way through a few bottles of Nutcracker Ale, stop to see if you got a bottle with Jason's name on it. After all, without him, it wouldn't be in that bottle (and ultimately, in your fridge) to begin with.